We Buy Junk Cars in Miami. Get the Best Price for Your Car. Sell your junk car in Miami and get paid in 24-48 hours! We buy cars in any condition, and tow from your home or office. Get the Best Price for Your Car. Claim Your Offer Today! Miami, what do you do when you want to sell your damaged, broken-down or junk car? What do you do when you’re thinking to yourself “I need to sell my car fast”? With major storms, flooding, motorcycles and crazy drivers on 95, and coconuts randomly falling on your car, Miami can be tough on a vehicle. It doesn’t matter if you’ve have damaged car, been in an accident, have a bad motor, slipping transmission, or just have a car nearing the end of its time on the road, DamagedCars.com can help. You don't have to go through weeks of effort trying to sell your damaged or broken-down car through the classifieds or to a dealership or junkyard. If you have a less-than-perfect car in Miami you can sell it to us online and fast! We buy junk cars, wrecked & cars with mechanical issues. Whether you live in Miami, Miami Beach, South Beach, Hollywood, Hallandale, Aventura, Sunny Isles, Coral Gables, Hialeah, Opa-Locka, Fort Lauderdale, Kendall, Pompano, Pembroke Pines, Miramar or Boca Raton, Doral or Westin, DamagedCars.com will buy your junk, wrecked, salvage or mechanically malfunctioning vehicle. 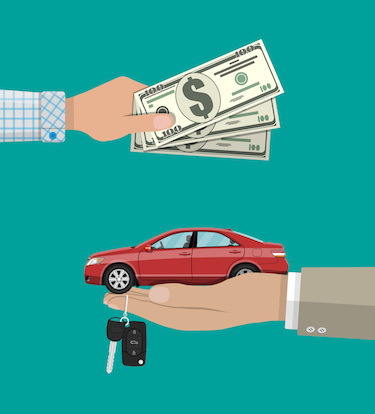 Get an offer to start the process to get cash for your car in Miami, a check for your wreck in Sunrise, cash for your clunker in Miami Lakes or money for your damaged late-model car, truck or SUV in Bal Harbour. We’ll even work with you on what to do after a car accident to get you the best value for your car. Because repair isn’t always the best option, sell your junk car to DamagedCars.com where we buy cars in less-than-perfect condition all around South Florida and Miami. If you are looking to sell your car to a Junk Yard in Miami consider first selling your car to DamagedCars.com. We are Miami A+ rated business at BBB and we have in business for over 10 years. At DamagedCars.com, we pride ourselves on quality customer service. With nationwide service and free towing, we make the process of selling your scrap car or damaged car easy and quick. Just submit your basic vehicle information on the form to the right, agree on a purchase price, and we verify ownership. Then, we pick up your car using a local Miami salvage yard and pay you with a check on the spot. The best part about selling your car with DamagedCars.com is that all our towing services are free! We come to your home or office and tow your car with no charges to you. You get paid a decent price, and can sell your car online from the comfort of your home. Our junk car removal is hassle free, just like the rest of our car selling processes. We make sure the towing companies and auto junk yards in Miami we work with are reputable, and punctual. That means your vehicle can be off your property within 24 hours of accepting your online offer! Every state has unique requirements for transferring a title. Florida is no exception. When transferring a title, accuracy is key. Florida titles require the seller sign the front of the title on the lower left corner section where it is marked “SIGNATURE OF SELLER”. Anyone listed as “Owner” on the front of the title must sign as “Seller” using the same name shown on the title. Only the “Owner” can sell a vehicle, and the state of Florida requires a title for the sale of any car, truck or SUV. So, if you don’t have the title, before you sell your damaged car, you need to make your way to the nearest Florida Tax Collector’s Office for a duplicate title. To find the Florida Tax Collector’s Office near you, visit the Florida Department of Highway Safety and Motor Vehicles.